The commercial part of me says I write for everyone, but I do also write somewhere for a specific lesbian/bi audience because I do see myself going into a bookstore and perusing and reading the back of this book and thinking, that speaks to me. Somewhere I think we compartmentalise who we write for, and though it’s easy to say we write for everyone, I know that there are some people who probably would not like this book. Looking at the reviews on amazon, you can glean from those reviews whether the person is a lesbian, a gay man, a straight man or a straight woman and it seems to speak to all of them because of the major themes in the book. I have written since I was a young girl. I’ve written for school magazines, I’ve written short stories for myself, I’ve written for university magazines, written for national newspapers, written documentary scripts, and some drama scripts, but nothing compares to seeing your first book in print. To see how the cover has manifested itself, to see those incredibly generous quotes that people have given it, to see how the chapters are set out, and the writing. Hopefully there are going to be more books, but nothing can compare to getting the first copy of your first ever book. One late evening in March, earlier this year, it arrived on the doorstep. I will never forget that feeling. Even now, as naff as it sounds, I still have one copy on my bookshelf, and I look at it every day! 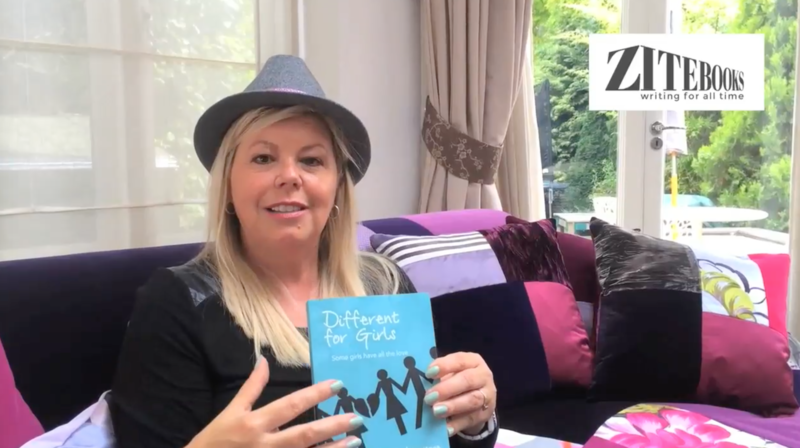 Jacquie Lawrence’s new novel, Different for Girls is available to download and buy now on amazon.co.uk.